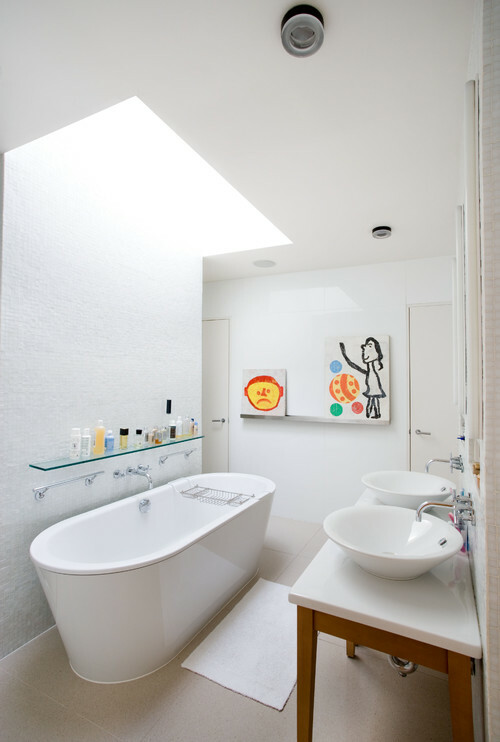 Light Up Your Bathroom… Naturally! 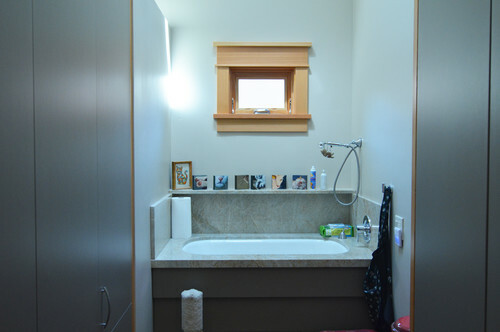 It’s a common (and understandable) dilemma: you want natural light in your bathroom, but don’t want to leave yourself exposed to unwitting Peeping Toms. 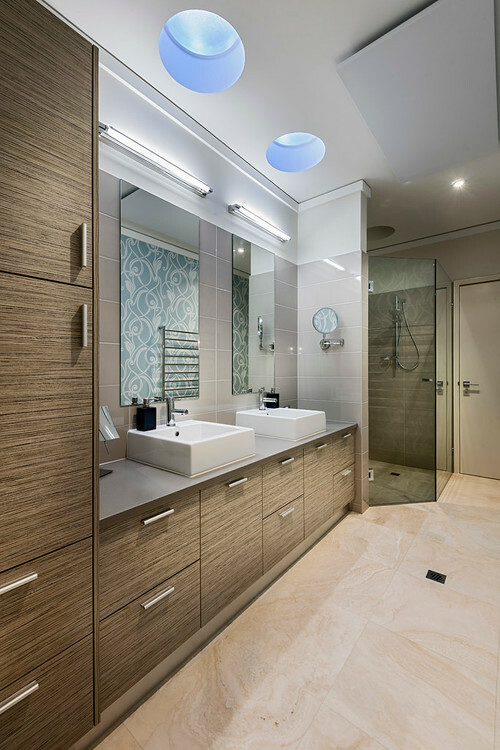 Maybe you don’t want to bother with expensive window treatments, or your bathroom doesn’t have a window at all, but all design experts agree: natural light is best in the bathroom. It makes the room look bigger and provides the best light for shaving and makeup application. So how can you get it? 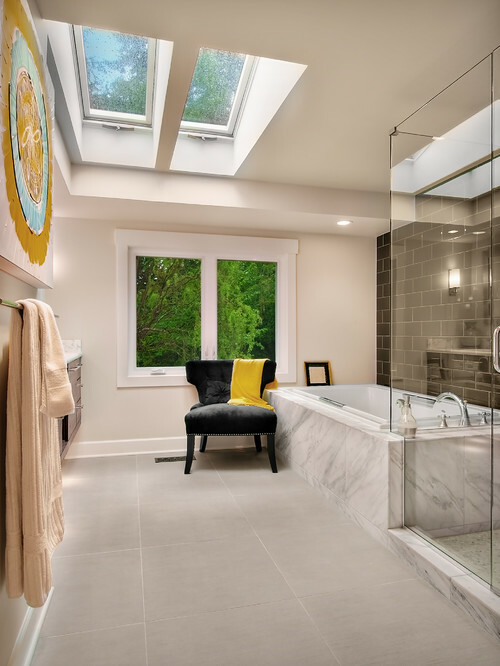 Skylights allow daylight to flood your bathroom without sacrificing your privacy. 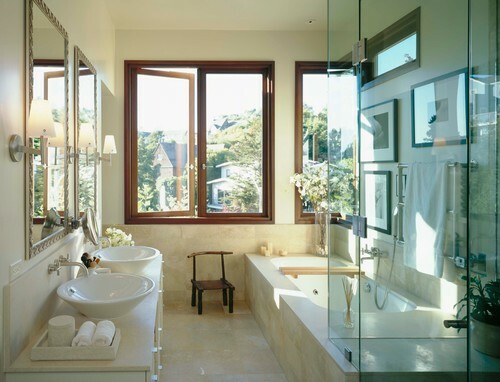 Even if your bathroom can’t accommodate a window, you can still have the benefits of one! 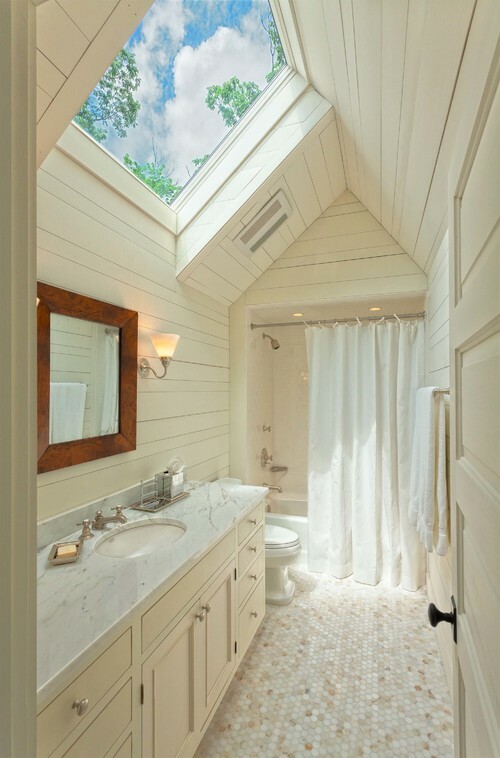 And if you do have a window, then a skylight simply adds even more beautiful, natural light to the room. Can’t have a full skylight due to attic or other restrictions? 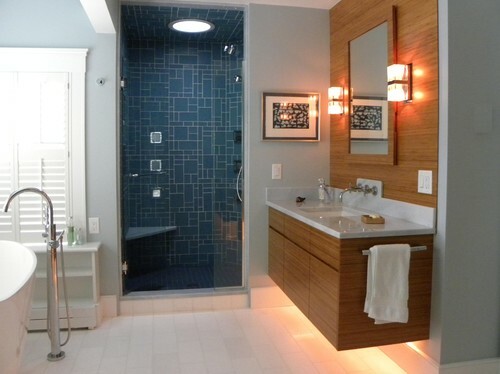 A solar light tube can ferry the light from outside into your bathroom. 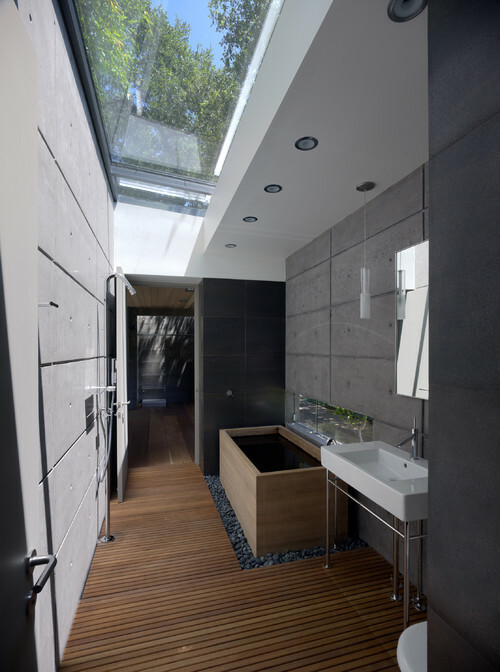 …allow yourself the luxury of natural light without compromising on your privacy standards! 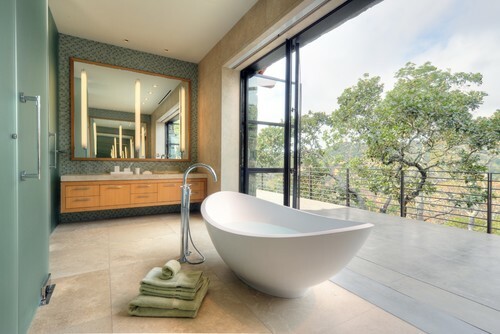 Natural lighting is one the best assets of a bathroom. But in most of the bathrooms we cannot bring lighting facilities with the help of windows. My bathroom doesn’t have a window either. I managed it by putting art works on walls and went with a shower curtain which added brightness to the room and also bought bright accessories. Pull-Down vs. Pull-Out: What’s the Difference?